FEARLESS releases in May. You won’t want to miss this one! When a nine-year-old girl named Louisa mysteriously appears in the middle of a house fire with no memory of how she got there or where she came from, Jim and Amy Spencer agree to take her in. Wrestling with the recent loss of their own child, Amy is very hurt and angry while Jim is just trying to make it through each day and hold their marriage together. They soon discover Louisa has a special gift—being able to see hurting hearts and heal them. Louisa’s gift is a help to Jim and Amy, but when the same gift unknowingly puts her in contact with a serial killer she believes needs her help, the grieving couple must unite to face all odds and save themselves and Louisa before it’s too late. Posted on February 25, 2013, in Christian Fiction, Fearless. Bookmark the permalink. 11 Comments. Very eye catching cover, Mike!! This plot is very intriguing as well. Look forward to this. I cannot remember if you have a release date for this one? Peter, the release date is May of this year. It’s usually the first or second Tuesday of the month. I love that cover, her face looks both creepy and sad at the same time. Good story line just by reading the short blurb. Cannot wait. Mike, Sounds like a great story. I look forward to adding it to my Mike Dellosso collection. Glad to hear that you are getting back to writing. I enjoy your work. I can not wait til May! It has my curiosity peaked! Freaky! I like it! I’d definitely look twice at that book on the shelf. I think that’s the what the designers were going for, Catrina! Great cover and very intriguing premise. Looking forward to it! 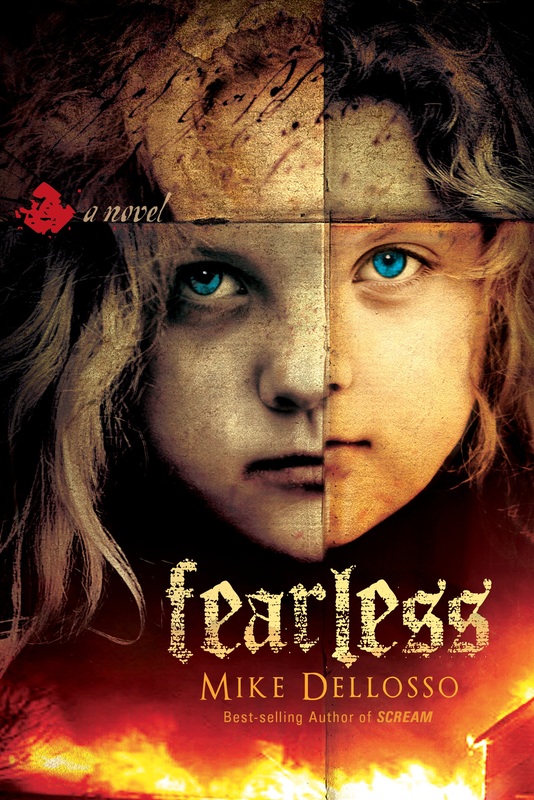 So glad to have you back, blogging, and I look forward to reading FEARLESS. Yes, as all have noted, great, eyecatching cover.